If James Bond went on Safari, this is where he would stay! Sabi Sabi Earth Lodge has some of the most unique and exciting decor of any safari lodge I’ve encountered. 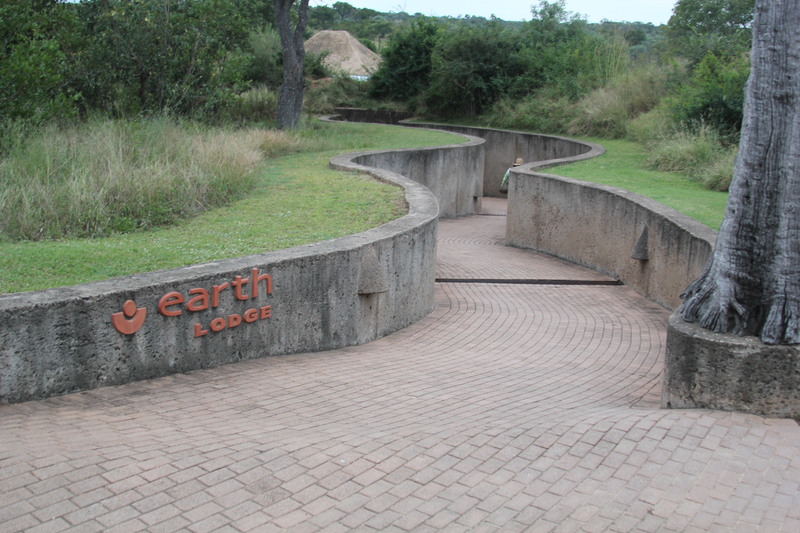 Built into the side of a hill, you have no idea the lodge is even there and it looks like you’re entering a cave as you walk down the path. But, instead, you emerge on a safari wonderland! A half-moon shaped public area surrounds a garden of waterfalls and several seating areas, including a dining room set in a shallow pool bacon you in further. The rooms have an earthy feel to them and the modern furnishings and art add an eccentric flair. The small lawn and plunge pool give way to amazing views of the vast wilderness laying before the lodge. In this setting you almost feel like you are on a different planet! Don’t be surprised if you encounter an elephant or giraffe along the path to the rooms, which is what happened to me on my way to dinner one night! The wine cellar is a perfect setting for a private candle-lit dinner and the chef is sure to delight your taste buds with delicious local fare. I had one of the most amazing experiences on a game drive while staying at Sabi Sabi Earth on my most recent trip with Africa Inscribed. 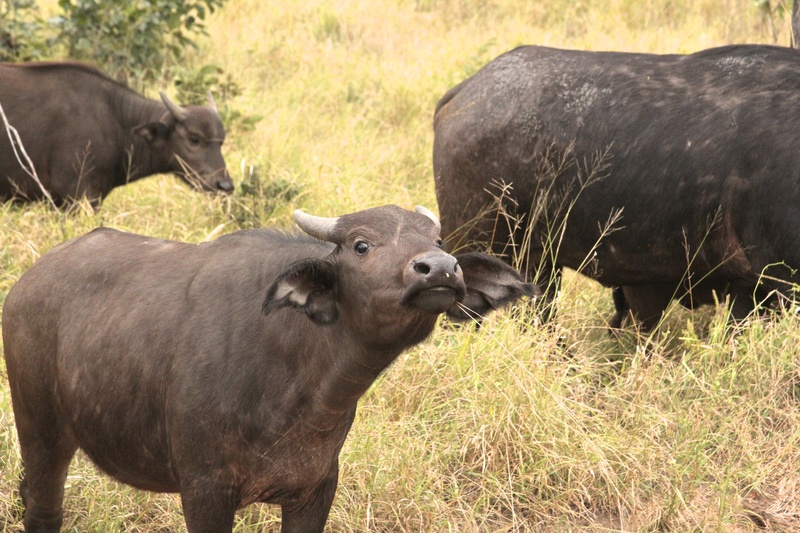 We had been hearing rumors of a huge heard of Cape Buffalo moving into the area and our driver-guide was determined to find them. With a little help from some scouts we were able to position ourselves in an open field just as hundreds of Buffalo (including many babies) were pushing through the brush into the clearing. They parted around our vehicle and we were sitting in a sea of buffalo! I doubt I will ever see anything like that again; it was truly a once-in-a-lifetime moment. Sabi Sabi Earth is the perfect setting for a romantic safari escape! It offers everything you need for a luxury safari experience from unique lodging, to sophisticated dining, to quality wildlife viewing. See more pictures from my stay at Sabi Sabi on Flickr. Contact me at Jessica@OurismanTravel.com to plan your once-in-a-lifetime safari experience. This entry was posted in Africa/Safari and tagged Adventure Travel, Africa Inscribed, Africa/Safari, Luxury safari lodge, Sabi Sand, South Africa. Bookmark the permalink.